This forum has been created to keep track of the progress of our representatives in Parliament and their ongoing support of the victims of Farepak. 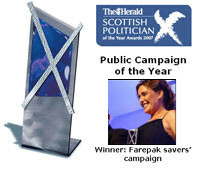 Anything related to the Unfairpak campaign in pictures, photographs, letters, invitations etc. The Regional Forums and Local Campaigns have all been merged here due to the fact that Unfairpak turned this very quickly into a National Campaign. We have a lot of information in here relating to how members felt at the time of collapse, Credit Unions, Media Requests, Kind Gestures that were made at the time of the collapse, the Farepak Response Fund etcetera. Registered users: Jacky Ch Ch Ch Chan!